A frequent criticism of the 1998 International Religious Freedom Act and the institutions and actions it mandated is that it is indicative of American unilateralism and cultural imperialism. But recent years have witnessed numerous new foreign policy initiatives on freedom of religion or belief by governments of other democratic states and by multilateral bodies—e.g. Canada, the UK, Norway, Italy, the Netherlands, the European Union External Action Service, the European Parliament, and more. 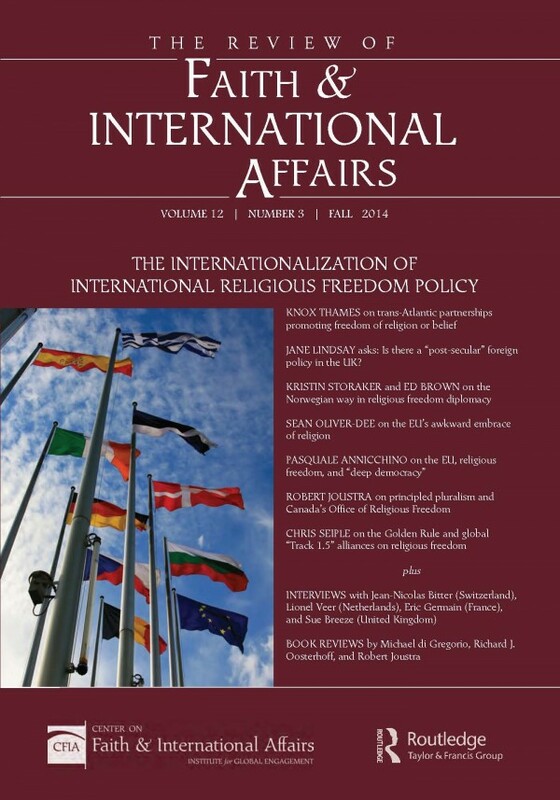 The fall 2014 issue of The Review of Faith & International Affairs tracks these news trends and analyzes their prospects, both at the individual state level and in terms of a growing transatlantic alliance on religious freedom promotion.